Born and raised in Carroll County, Trey served our country in the Navy from 2009 to 2013. 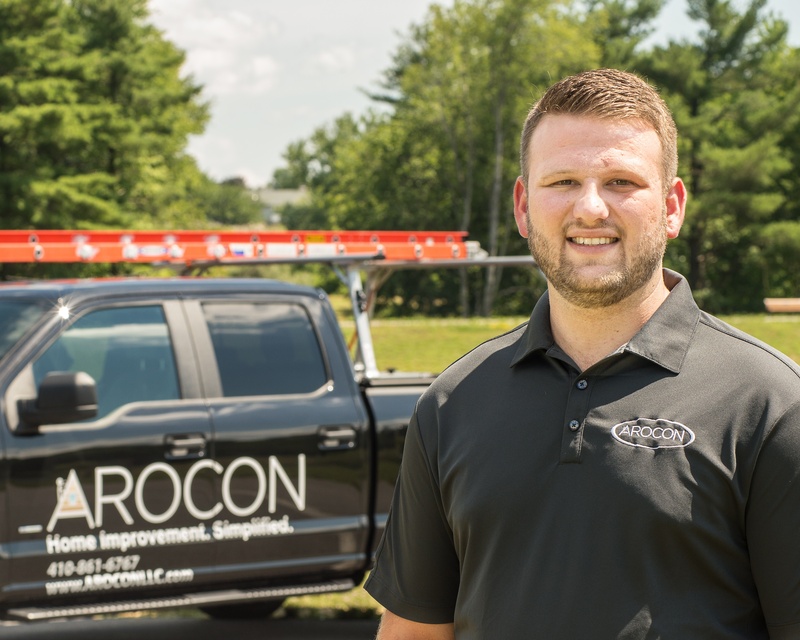 After working in the construction industry for a couple years, Trey decided to join AROCON as a Project Consultant. Trey enjoys helping homeowners solve their home improvement issues and make the best decisions for their homes. In his off time, Trey enjoys the great outdoors, including hiking and fishing. He lives in Westminster, MD with his girlfriend. They did an awesome job. The job took 7 hours, the area was fairly clean when they left. Everyone was great to work with. showed up on time, did a great job on the roof! I was most satisfied with their courtesy and the final product.